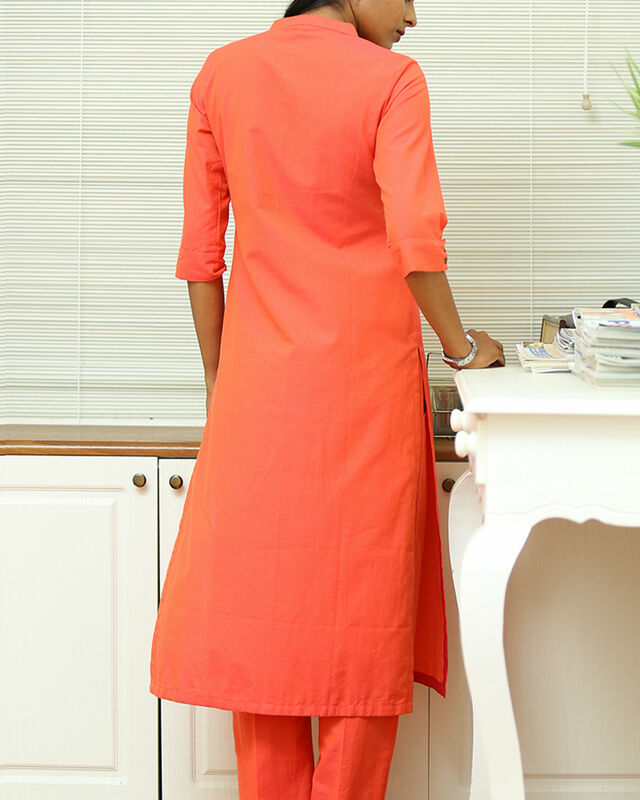 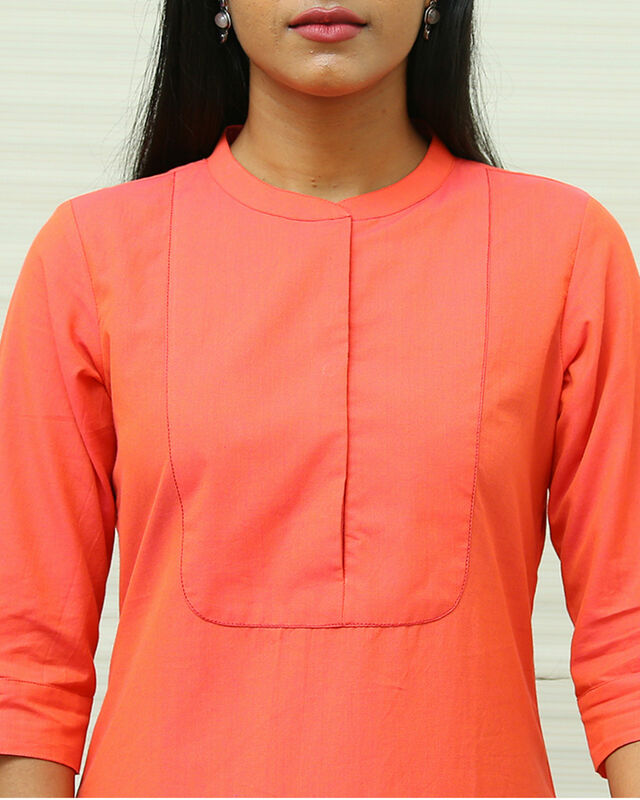 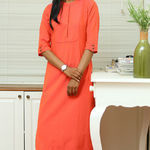 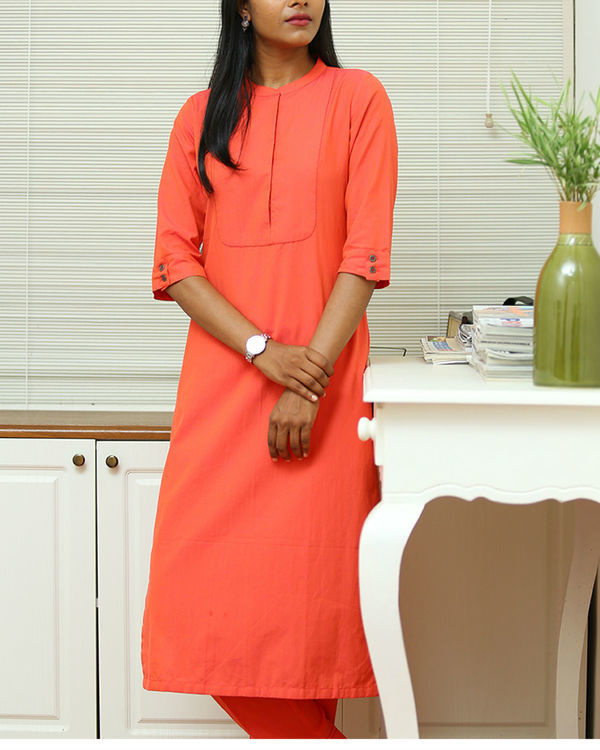 Peach kurta with contrast thread detailing on yoke edge and metal buttons on cuff. 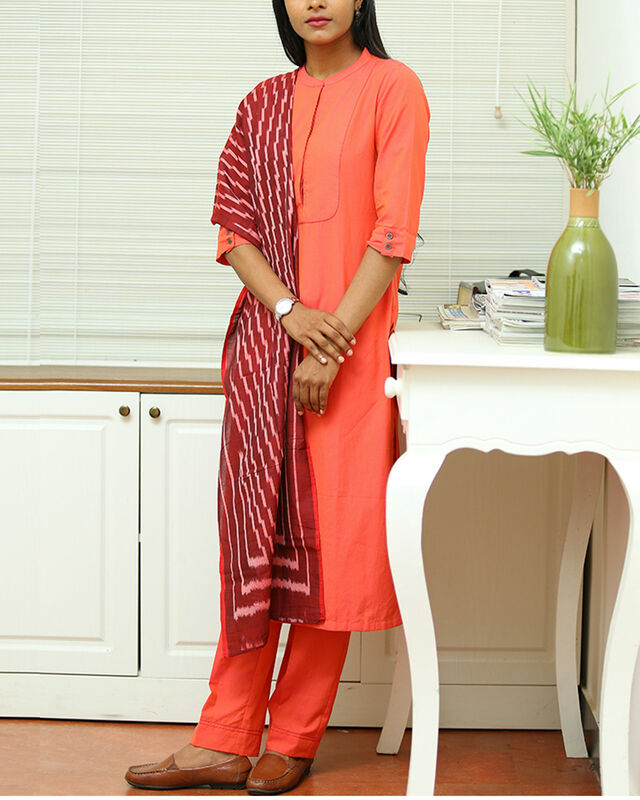 Comes along with solid cotton pants Note : Maroon ikat dupatta is for styling purpose only and not for sale. Neck Type: Closed mandarin collar. 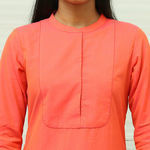 Closure Used: Buttons in front. 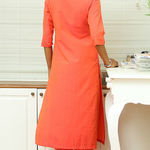 M: SHOULDER- 15.5", CHEST- 42", WAIST- 38", HIP- 44"